Lilly has acquired a new skill in the last 24 hours. >Your very own Violet Beauregarde! 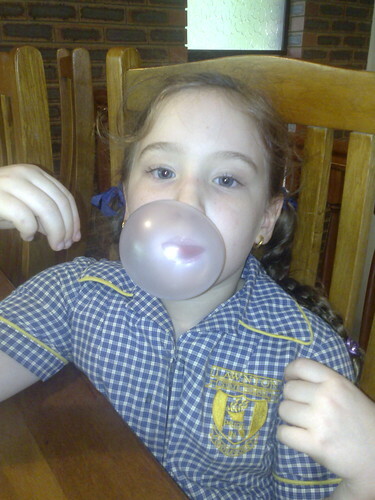 Blowing bubblegum bubbles is incredibly entertaining…..until they get stuck in your hair, that is. Previous Previous post: “Mevagissey” from an original water-colour by David Skipp.